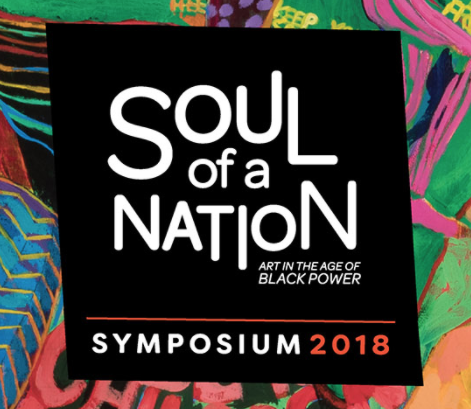 This symposium features exhibition artists and curators who will join us for an insightful round of conversation reflecting on art, politics, music, and community in the age of Black Power. The program kicks off with an opening discussion by Tate’s curators, Mark Godfrey and Zoe Whitley, and continues with an inspiring line-up of artist conversations. Lorraine O'Grady is joined in conversation with Tate curator Zoe Whitley for a discussion revealing insights into the complete arc of the Mlle. Bourgeoise Noire persona. O’Grady will discuss the compelling and critical contexts in which she developed her singular strategies for artmaking. Later that day, artists Melvin Edwards and William T. Williams are joined in conversation with Curator Lauren Haynes for a discussion beginning with their work in the artist collective Smokehouse Associates, their projects following, and their current work today.